In recent years the populations of wild boars have exploded. They have become a problem for a number of countries, most notably Australia. It has now become a popular pastime for people in that part of the world to hunt the creatures. There has also been an increase in the amount of media coverage given to wild boars. They are often featured in stories about their destructive nature. Their negative effect on crops and native animals is frequently documented. Their appearance is not just limited to news coverage. They are also a staple of fiction as well. They are in a number of video games. Often when the player moves their character close to a boar they will be attacked. This can be seen in the popular western game Red Dead Redemption. The game is set in the Wild West and follows a man called John Marston. His story takes him through wild terrain. When he runs into a boar he is able to shoot it. However, if he decides to get too close he can be gored to death by them. Wild boars are also seen in a number of films. They are most commonly depicted as being dangerous. There are several horror films which show them as exaggerated predators. One of the more nightmarish screen versions of wild boars is in the movie Hannibal. The main villain uses them to eat people alive. 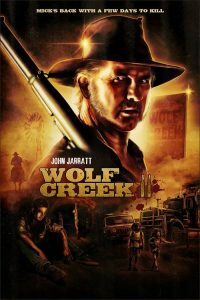 Another horror film, Wolf Creek features a hunter who specializes in hunting these creatures. Over the years he has grown tired of the constant ineffective culling. His blood lust has now moved on to human beings. These animals have had a long history within the horror genre. They are also seen in more humorous pieces of modern media. The family sitcom the Simpsons has been called one of the greatest television shows of all time. In one memorable episode the two children, Bart and Lisa, find themselves on a desert island with their school friends. They eventually encounter what they believe is a monster. It sneaks into their camp at night and eats all their supplies. At the end they run into it and discover the monster is in fact just a wild boar. Lisa suggests that they mimic the creature by surviving on cave slime. Instead the group decides to eat the boar. There is a clear pattern in modern media of portraying boars as formidable creatures. They are often shown to be highly dangerous and frightening, but in reality they are not nearly as aggressive. Attacks on humans do sometimes occur, however this is usually due to the fact they have been cornered. They have even been exaggerated in international folklore. The Beast of Dean stands out as a classic example of this. The Beast is said to be a wild boar of colossal size. According to legend it is big enough to cut through trees and hedges. The animals feature throughout stories in Ancient Greek mythology. One of the labours of Hercules was to slay a large boar. There is a famous hunt in ancient art where a group came across a large wild pig known as the Calydonian Boar. This story was of great importance to the people of this time period. These tales show that even in ancient times humans have had a fascination with wild boars as formidable animals.